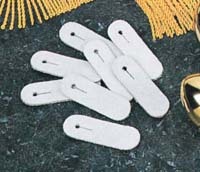 Page Title: Flag Making Supplies; all flag making supplies are special order and are not returnable. These nylon flag material supplies are of top quality, woven from 200 denier yarns, and have a weight of approximately 3.2 ounces per yard. A perfect choice for use in flag & banner making, these dyed nylons also resist sunlight. Bolt edges are ravel resistant in all colors. The colors on our Color Chart are as accurate as modern printing processes allow. COLORS APPEAR DIFFERENT ON EVERY COMPUTER MONITOR. The colors shown are intended to show the general range of color shades. The actual fabric shades may vary slightly. 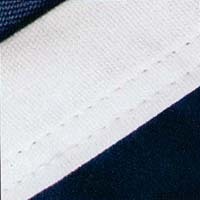 If your color needs are less than casual full swatch books are available at $15.00 ,item #FSB. One yard minimum per color in full yard increments. Look what you can do with yard goods. Simple yet effective. This was one of most fun jobs of my flag career. 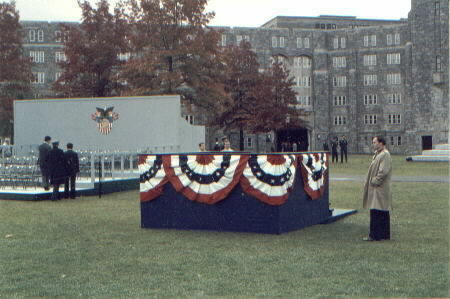 Back when I used to go out and decorate buildings, I was hired to decorate President Reagan's reviewing stand and lots of other places around West Point. It was quite a thrill to be in the center of a presidential event with all its hustle, and bustle. The Army built the box, then I covered it with Old Glory Blue nylon. The simple standard pleated full fans finished it off.